One of the founding pioneers of modern Singapore, Dr Toh Chin Chye 杜进才 was born in Taiping, Malaysia in 1921 to the son of a bicycle shop owner. After early education in Ipoh, Dr Toh came to study at Raffles College in Singapore and proceeded to London for a physiology doctorate, where he met Lee Kuan Yew and Dr Goh Keng Swee. 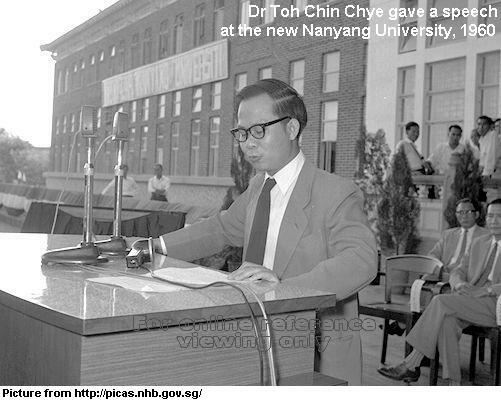 Dr Toh returned to Singapore in 1953 as a lecturer, before entering the political realm by establishing the People’s Action Party (PAP) with Lee Kuan Yew (born 1923), Dr Goh Keng Swee (1918 – 2010) and Sinnathamby Rajaratnam (1915 – 2006). 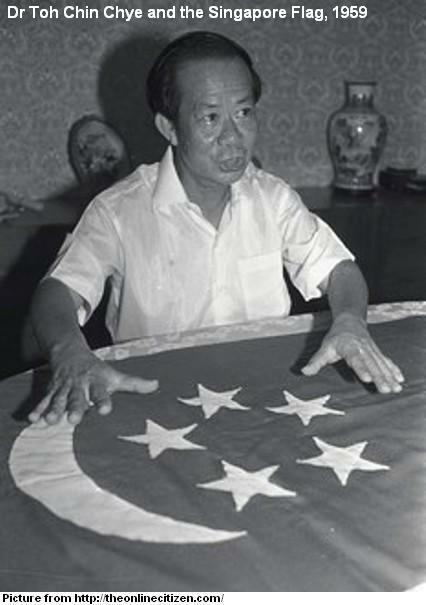 He was appointed the Chairman of the party and served as the Deputy Prime Minister (1959 – 1968) when Singapore attained self government in 1959. For 140 years between 1819 and 1959, Singapore flew the Union Jack flag, the flag of the United Kingdom. When the self government was formed, Dr Toh led the committee to design a new flag for Singapore. The colours and designs was carefully chosen with considerations to the neighbouring countries and the races in Singapore. According to Lee Kuan Yew’s biography, the crescent was flavoured by the Malay population, whereas the Chinese liked the five stars, referenced after the flag of the People’s Republic of China formed in 1949. Majulah Singapura was created by Indonesia-born Singapore composer Zubir Said (1907 – 1987) in 1958 as a theme song for the then-City Council of Singapore. Due to its popularity, Dr Toh shortlisted the song and requested Zubir to modify the lyrics and melody to suit the newly-born republic. In 1965, when Singapore split from Malaysia to become an independent country, the Singapore flag and Majulah Singapura were officially adopted as the national flag and national anthem. Prior to independence, Dr Toh, along with other Old Guard Leaders, was deemed supportive of the controversial Operation Cold Store, initiated by the Internal Security Council (ISC). The objective was to dissolve any communist groups within the country that were likely to cause violence or destabilise the establishment of Malaysia in 1963. Externally, Indonesia was launching the Konfrontasi against the proposed Malaysia union. However, the operation was protested widely as a discriminated crackdown against the opposition. Opposition leader Barisan Sosialis’ secretary-general Lim Chin Siong and many others were detained and arrested just before the 1963 general elections. After his role as the Deputy Prime Minister, Dr Toh was appointed as the Minister of Science and Technology (1968 – 1975) and the Minister of Health (1975 – 1981). He stepped down from the Cabinet in 1981 and continued to serve his ward at Rochore for another seven years. 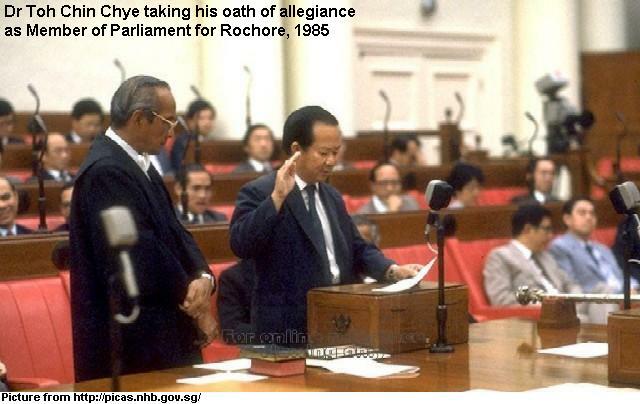 As a Member of Parliament (MP), Dr Toh became the critic of his own party PAP, regularly involved in debates and criticism of new policies. 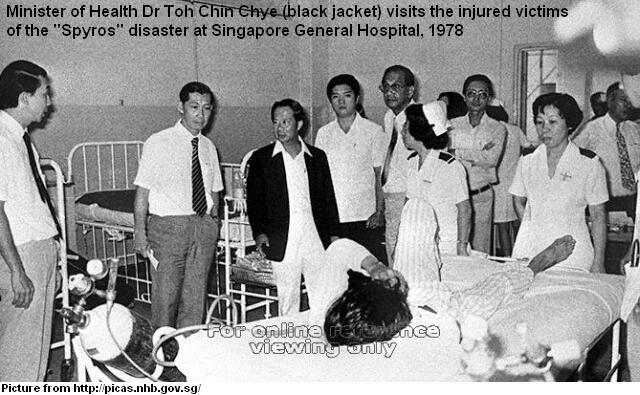 Dr Toh Chin Chye was known for his outspoken views, most notably on the debate on the Medisave scheme in 1983 in which he argued that healthcare should be the government’s primary responsibility. He was so against the idea that he abstained himself from voting for the approval of the scheme in the parliament. Dr Toh also debated against the raising of the withdrawal age of CPF (Central Provident Fund) in the parliament in the mid-eighties. 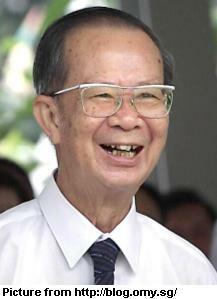 In 1984, Howe Yoon Chong, then Minister of Health (1982 – 1984) and Member of Parliament for Potong Pasir (1979 – 1984), proposed the CPF withdrawal age to be raised from 55 to 60, in order to deal with a greying population. Soon, the CPF minimum sum was implemented, contribution rates were cut and withdrawal age would eventually be raised to 60 by 1993. The unpopular decision backfired, causing PAP to lose votes and ultimately concede Potong Pasir to the independent Chiam See Tong. Dr Toh retired from politics in 1988 and passed away peacefully in his sleep at an age of 90 on the morning of 3rd February 2012. This entry was posted in General and tagged Central Provident Fund, Goh Keng Swee, Lee Kuan Yew, Majulah Singapura, Medisave, Member of Parliament, Minister of Health, Minister of Science And Technology, National Anthem, Operation Cold Store, People's Action Party, Sinnathamby Rajaratnam, Toh Chin Chye. Bookmark the permalink. Thks for the excellent write up!